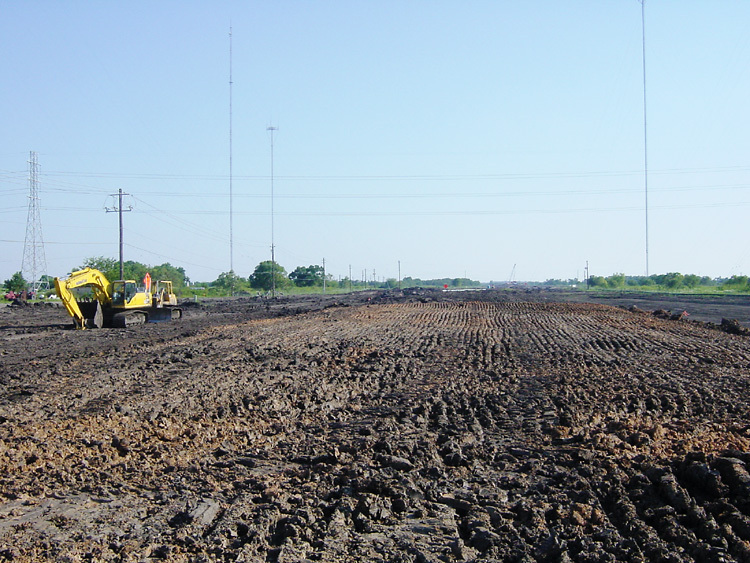 The section under construction is between BW 8 and SH 6. (Click for high resolution) This view looks north at West Fuqua. In the distance Beltway 8 can be seen. 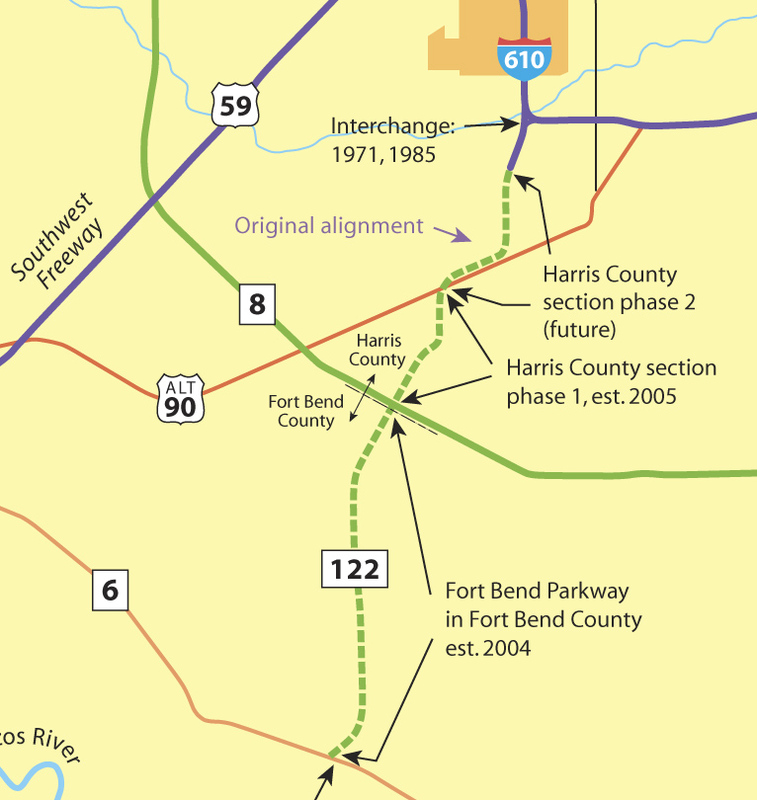 The Fort Bend County section of the parkway terminates at Beltway 8, and the Harris County Toll Road Authority will continue the tollway north of Beltway 8. 5-October-2003. (Click for high resolution) This view looks north at McHard Road. 7-September-2003. 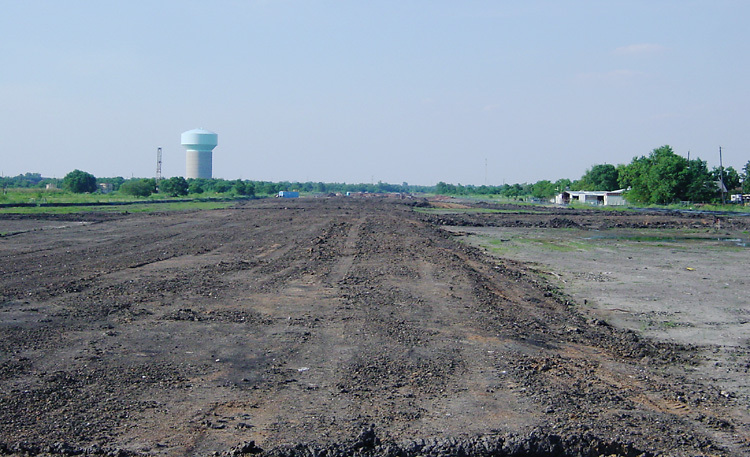 (Click for high resolution) This view looks south at McHard Road. 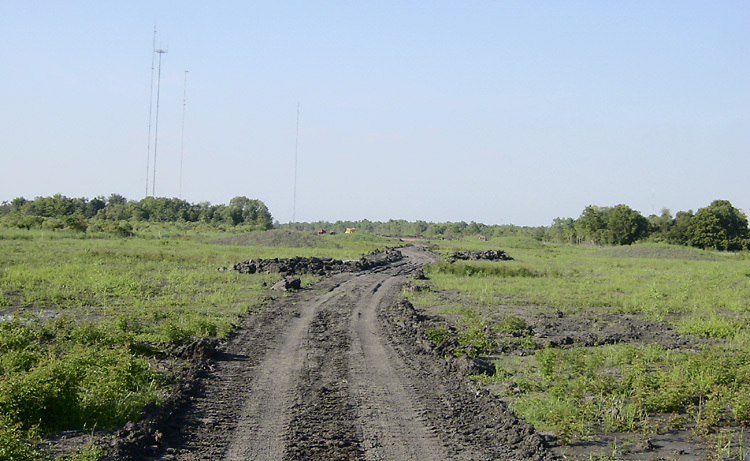 The tollway passes through a broadcast tower farm. Somehow the tollway manages to miss all the guy wires. 7-September-2003. 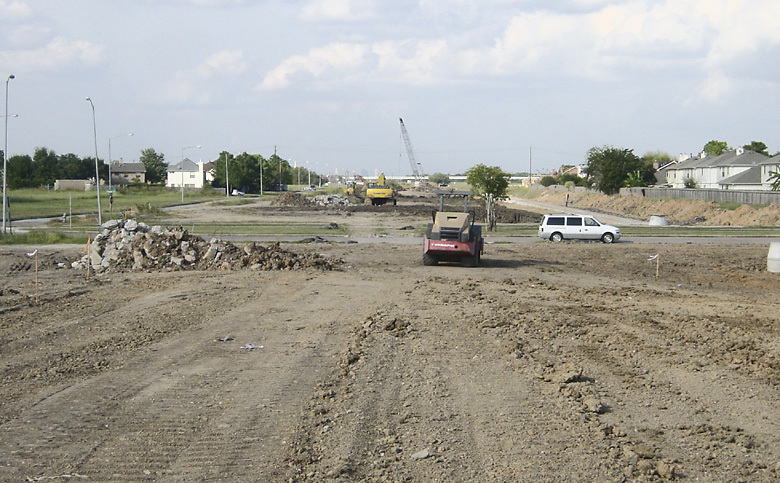 This view looks north at Tramwell-Fresno Road, which is near SH 6. The path for the tollway was just starting to be cleared. Hightower High School is very close to this location. 7-September-2003.